Sometimes road planners and designers neglect to consider bike riders. Recently the Central Coast Spinners wrote to Council to express their concern over a road island. It was installed to protect pedestrians, but it had the unintended consequence of endangering riders. On a group ride, a rider did not see this obstacle and the collision required hospital treatment. By contrast a painted pedestrian crossing or crossing lights gives the pedestrian priority crossing the road without creating a hazard for people riding bikes. 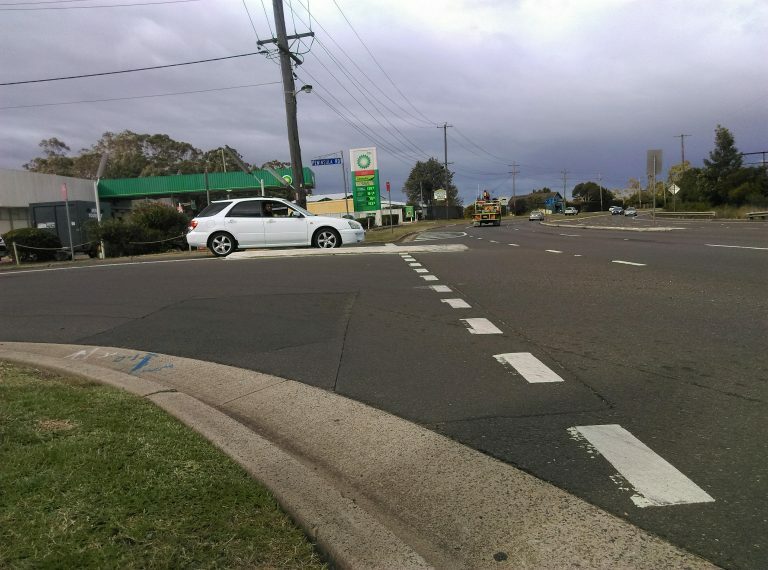 This median on the Great Western Highway at Valley Heights, in the lower Blue Mountains area, has also resulted in incident that required hospital treatment. This obstruction protrudes into the road shortly after the marked bike lane becomes a left turning lane, in an area where merging right into traffic travelling at 80km/h is challenging. RMS were warned when it was constructed that it was dangerous. Road features, barricades and signs should be clear and safe for all road users, but often bike riders are ignored in the design process. Slippery paint, crack sealant and reflectors are commonly applied to the road towards the edge of the left-most lane or within designated bike lanes. “We’re calling on Councils and RMS to consider bicycles in road safety design,” said Ray Rice, Bicycle NSW Advocacy Consultant and Engineer. 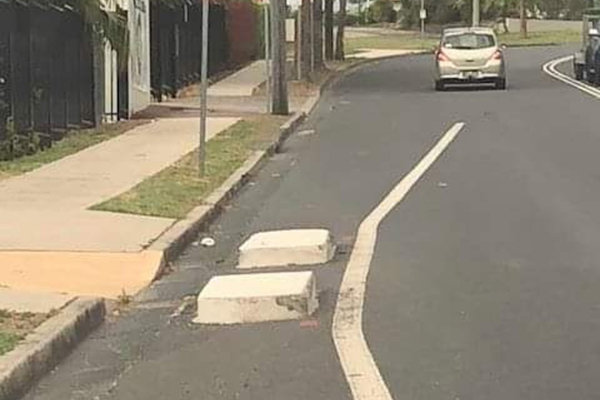 “If you’re unsure about a road feature or design, we’re happy to review it,” said Ray.